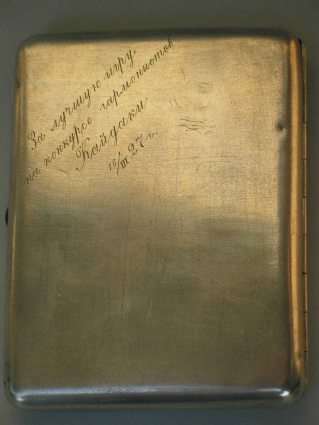 this silver cigarette case is chased and repoussé with a peacock, wreaths of flowers and fruits and is engraved with a dedication dated March 16, 1927 (the cigarette case was the prize for the best performance in the competition of accordion players, city of Kaidaki). 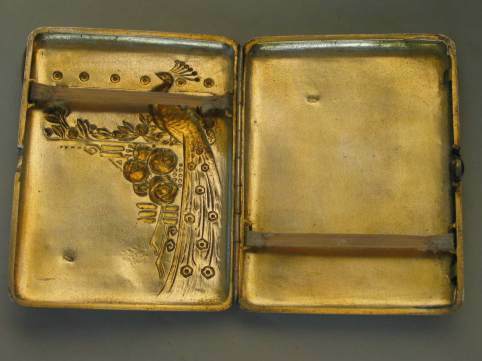 The case has gold washed interior and a green stone cabochon thumbpiece. 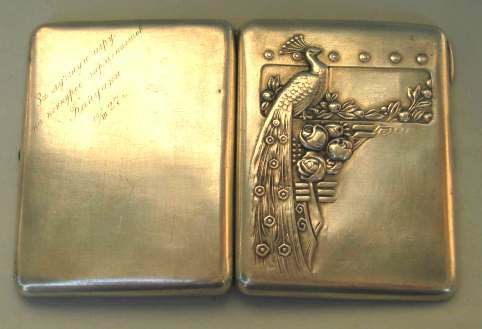 It is hallmarked on both inner sides with 1908-1917 Russian hallmarks for 84 zolotniks silver (875/1000 purity degree). 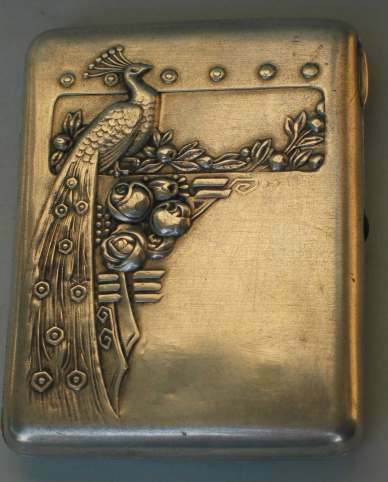 The cigarette case is 4 1/4 in. wide (cm. 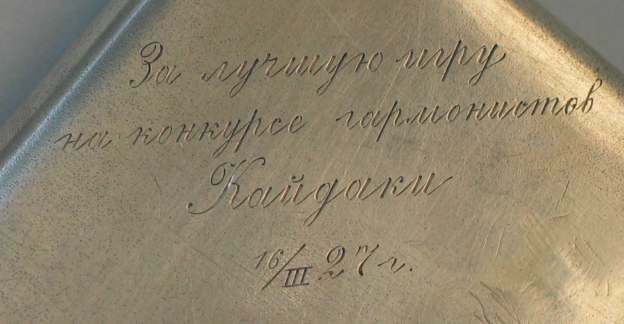 11) and was bought from a Russian dealer on an Antique Fair in Padua (Italy).